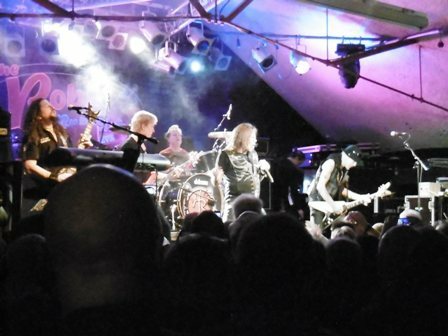 They love to rock in the Black Country so the Robin 2 was packed to the rafters with fans wanting to worship at the feet of German guitar god Michael Schenker. 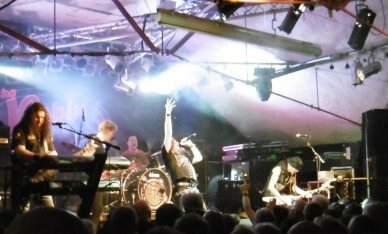 The 59-year-old former member of UFO and Scorpions has assembled a formidable array of musicians to form his band, the Temple of Rock. 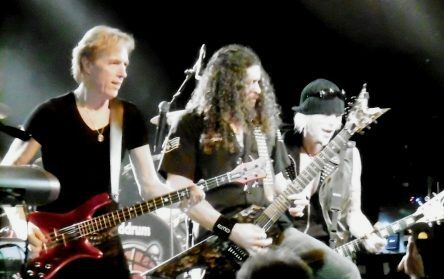 On bass and drums are his ex-Scorpions colleagues, Francis Buchholz and Herman Rarebell, while ex-Rainbow and Yngwie Malmsteen's Rising Force vocalist Doogie White is employed as frontman. Standing stage right, American Wayne Findlay works like a trooper, playing both keyboards and guitar, as well as contributing backing vocals. 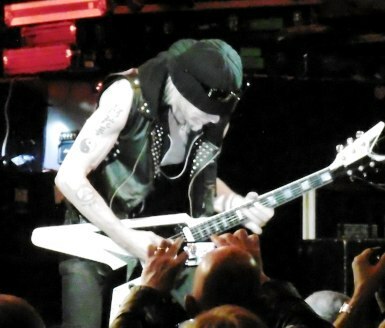 Stage left, Schenker hunches over his Flying V, bending and twisting the notes, only pausing to point his instrument machine gun-style at the audience. The outfit is nearing the end of a world tour that began in America in January. ''We've been everywhere,'' said Doogie White, his broad Scots accent recalling Billy Connolly. ''In some places they couldn't understand what I was saying,'' a comment appreciated at the Robin where the Black Country dialect leaves many from outside the region scratching their head. Despite having a new album, Bridge the Gap, to promote, there are just two of its tracks showcased, Where The Wild Winds Blow and Lord of the Lost and Lonely. Instead, there's a glorious précis of Schenker's career. The main set is bookended by UFO classics Doctor Doctor and Rock Bottom and in between there are the likes of Let It Roll and Shoot Shoot, mixed with Scorpions' favourites such as Lovedrive and the instrumental Coast to Coast. The MSG years are represented by Armed and Ready, Victim of Illusion and Into the Arena, while the future is glimpsed thanks to Vigilante Man, a track from forthcoming album Spirit on a Mission. Before The Devil Knows You're Dead, from Temple of Rock's eponymous debut album, is dedicated by Doogie to 'Ronnie James Dio, Jon Lord, Gary Moore, Jack Bruce and all those who helped build the Temple of Rock'. It was the final few songs of the 90 minute show that really got the venue buzzing. A potent cocktail of UFO's Too Hot To Handle and Rock Bottom and Scorpions' Rock You Like A Hurricane, leading to the encore of UFO's Lights Out and Scorpions' Blackout. A Christmas cracker of a show! Dec 20: O2 Shepherd's Bush Empire, London. Why? Classic rock from a band at the top of their game.